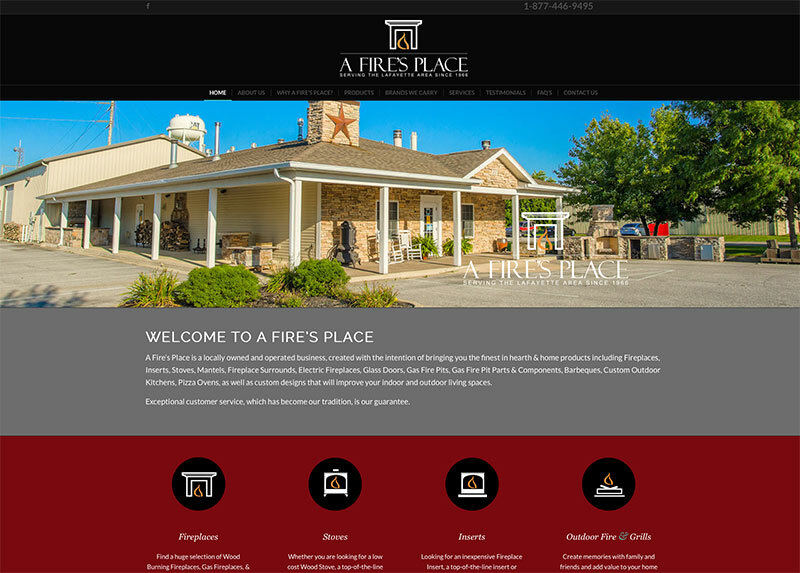 The premier fireplace sales, installation and service professionals in the Greater Lafayette, Indiana area needs a new website, and needed it bad! We coordinated professional photography, and created a new look and feel for the site. We can say that this site matches the high level of professionalism exhibited by the talented and experienced staff at A Fires Place.